An Eject CD/DVD menu item in your Mac’s menu bar is a handy way to quickly eject or insert a CD or DVD. The menu bar provides access to its items at all times, so no matter what application you are running, no matter how many windows are cluttering up your desktop, you can quickly eject a CD or DVD without having to move windows around to drag its icon to the trash. The Eject menu bar item also provides some additional benefits. If you have multiple CD or DVD drives, the Eject menu will list each drive, allowing you to select the drive you want to open or close. 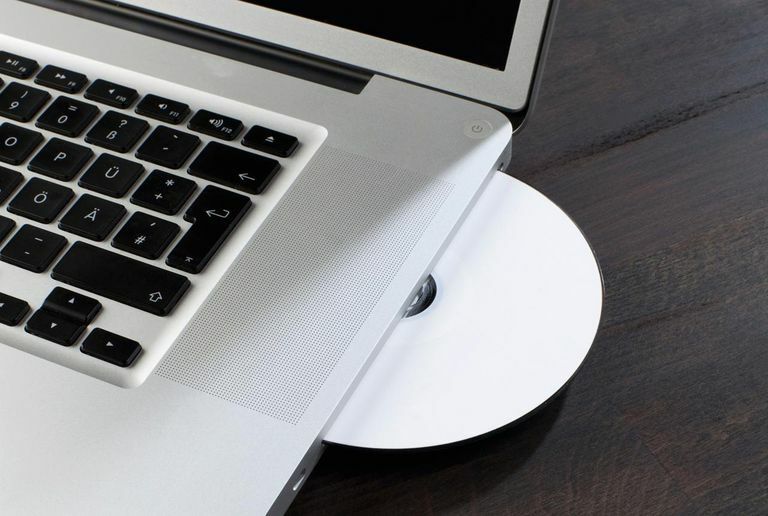 The Eject menu also comes in handy for ejecting stubborn CDs or DVDs, such a CD or DVD that your Mac doesn’t recognize. Because the CD or DVD never mounts, there’s no icon to drag to the trash and no contextual pop-up menu you can use to eject the media. Open a Finder window and navigate to /System/Library/CoreServices/ Menu Extras. Double-click the Eject.menu item in the Menu Extras folder. The Eject menu item will be added to your Mac’s menu bar. It will have the eject icon, which is a chevron with a line below it. If you click on the Eject menu item, it will display all of the CD/DVD drives attached to your Mac, and provide the option to ‘Open’ or ‘Close’ each drive, depending on its current state. Like any other menu bar item, you can position the Eject menu to appear anywhere in the menu bar. Drag the Eject menu icon on the menu bar to the desired location within the menu bar. Once you start dragging the Eject icon, you can release the Command key. Release the mouse button when the Eject menu is where you want it to be. Click and drag the Eject menu icon off the menu bar. Once you start dragging the Eject icon, you can release the Command key. Release the mouse button when the Eject menu no longer appears in the menu bar. The Eject icon will disappear.